You get more toxic exposure from taking a shower than from drinking the same water. The skin, the body’s largest organ, can easily absorb contaminants found in water which pass through it into the bloodstream. The experts are just beginning to understand the potential health hazards from skin absorption of water contaminants. We offer, through our business partner, CanAm Wellness, a wide selection of shower water filters. Browse the wide selection of shower water filter, order online or by phone, use the special code “Lito20” and avail yourself of an extra 20% over the online sale price. For other Can Am Wellness health enhancing products, including waterless stainless steel cookware, water filtration systems – whole house, under the counter, countertop, shower water filters, click here. Use discount code “Lito20”, and avail yourself of an extra 20% discount over the sale price. 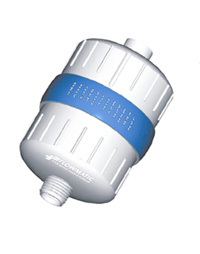 Categories: Chlorine removal, improve health, Shower water filter | Tags: chlorine removal, dry skin, Shower, shower filter, Shower water filter, showerhead water filter | Permalink. Categories: Bacteria, Chemical reduction, Chlorine removal, Countertop water purifier, water filter, Heavy metal reduction, Hydration, improve health, Shower water filter | Tags: Bottled water, Drinking water, Pitcher, Plants, water, Water bottle, Water cooler | Permalink. 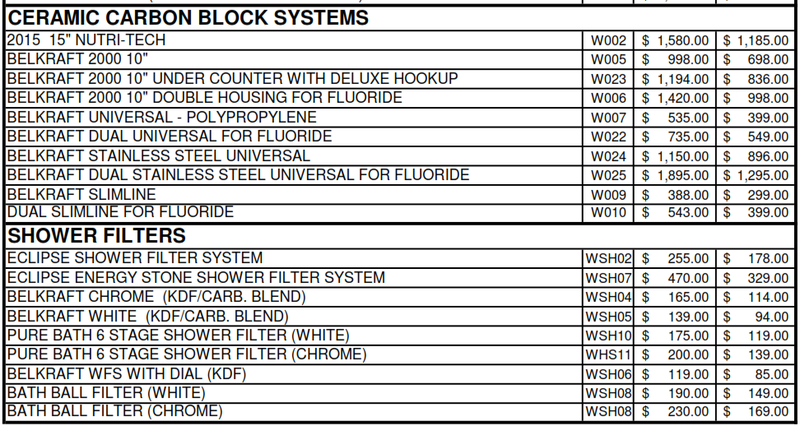 Categories: Chlorine removal, Shower water filter | Tags: chlorine, Kdf-55, Redox, Shower, water filter | Permalink. So do swimming in a chlorinated swimming pool, doesn’t it? And the smell, yuk! But, unfortunately, our city or municipal water, in most cities and municipalities anyways, are treated with chlorine to disinfect the water, to make it safe for drinking, showering, bathing, brushing our teeth, etc. Yes, it does smell like you’re in a swimming pool often times when you take a shower, doesn’t it? – and when you smell that chlorine, where does it go? Well, I guess we breathe it in, we inhale this wonderful, sweet smelling chemical gas – good thing is we have our lungs to filter them. What?! So check this shower head filter out- could be a worthwhile investment. It just might save your skin, save your breath- oh, and let’s not forget your hair. Categories: Chemical reduction, Chlorine removal, Shower water filter | Tags: chlorine, Drinking water, dry skin, Home and Garden, itchy skin, Shower, Swimming pool, Tap water, water filter | Permalink.